Departement of Vaucluse - Pop. 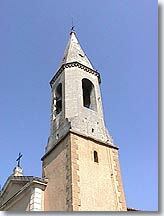 : 1,700 h.
then the D8 and 15 km south-west of Vaison la Romaine via the D88. 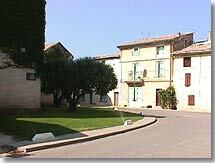 Violès is a peaceful village lying in front of the Dentelles de Montmirail in Upper Vaucluse. The village is surrounded by a plain, with vine fields as far as the eye can see. The Ouvèze passes through the municipality. It is a pleasant but capricious river (on the mairie and the church you can see the marks of the floods in September 1992). 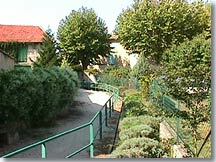 Visitors can stroll along the bank of Ouvèze, where there are picnic benches and a play area for children. Nowadays the village's architecture is rather heterogeneous, with a mix of old houses and more recent buildings (such as the mairie) redolent of the sixties. This market town is an ideal base from which to visit the region, with the majestic Mont Ventoux serving as a backdrop. 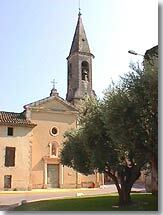 Church of St Pierre (17th century). The banks of the Ouveze, but be careful. 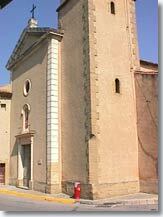 The Chapel of St Pierre de Violes (12th century). Gigondas (5 km), Vacqueyras (5 km), Camaret-sur-Aigues(8 km), Sablet(7 km).